First, check and make sure that your product SKUs in Zentail align with the SKU names in Rakuten. 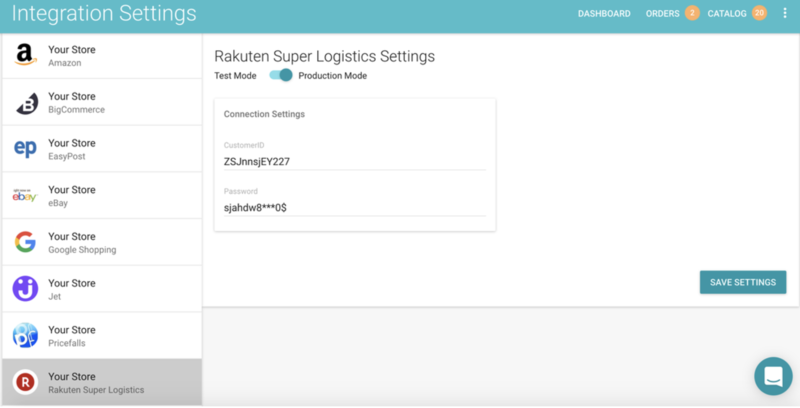 If the SKUs are aligned, ask a Zentail team member to add Rakuten Super Logistics to your Integration page. Complete your Rakuten Super Logistics SmartFill portal setup with the help of your. Contact your Rakuten Super Logistics rep for assistance. Now that the integration is complete, the first order that goes through from Zentail to Rakuten Super Logistics will establish the connection between Zentail and Rakuten. Be sure to monitor these first couple orders and verify with Rakuten that the order was sent over correctly from Zentail to Rakuten.